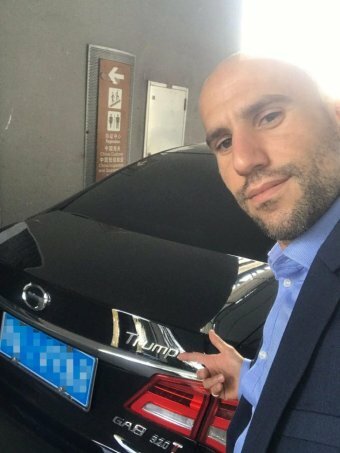 A muscle-flaunting Melburnian who boasts about his sports car collection and playing poker with underworld figure Mick Gatto is at the centre of a company holding millions of dollars in clients’ money that can not be accessed. Stavro D’Amore is the former director and chief executive of Melbourne-based Berndale Capital Securities, a company whose activities have caused such alarm that ASIC has intervened to freeze their accounts. Prior to having its licence stripped late last year, Berndale operated as a broker operating in the opaque world of online foreign exchange — or forex — trading. Several clients of Berndale have told the ABC that three months after the corporate regulator froze the company’s accounts, they still haven’t been able to get their money back. One Berndale client the ABC spoke to had $250,000 in an account with the broker. Mr D’Amore initially agreed to an on-camera interview with the ABC, before later saying he was unavailable. He said all clients’ money is safe, but can not be refunded because of the account freeze. Forex trading is a highly complex and risky form of investment, which experts say is actually more akin to gambling. It involves pitting one currency against the other in a series of micro-trades. If the exchange rate goes up in favour of the currency you have backed, you make a profit. The constantly fluctuating nature of foreign exchange rates makes it a highly volatile form of trading. Forex’s booming popularity has led to governments around the world cracking down and, in some cases, banning forex trading altogether. While allowed in Australia, ASIC warns forex trading “requires a huge amount of knowledge, research and monitoring,” because currency markets are highly unpredictable and can be affected by so many factors. Monash University professor Mark Crosby said the confusing nature of forex brings with it extreme levels of risk. “I spent my whole career studying exchange rates and there’s no way I’d trade foreign exchange,” Mr Crosby said. Warnings about forex seem to have failed to deter investors. YouTube videos containing tips and tutorials around the trading platform continue to amass hundreds of thousands of views and comments. In November, ASIC cancelled Berndale’s licence and banned Stavro D’Amore from providing financial services for six years. Despite his years of trading and brokerage experience, Mr D’Amore was described by ASIC as being not adequately trained or competent to provide financial services. Online, he maintains a colourful social media presence. 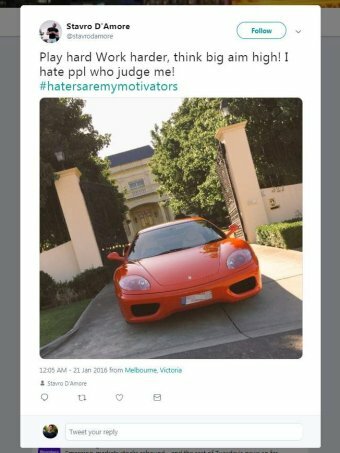 Mr D’Amore’s social media pages feature pictures of high-end sports cars and variations of the hashtag #Myhatersaremymotivators, alongside several complaints over the value of the Portuguese chicken chain Nandos. 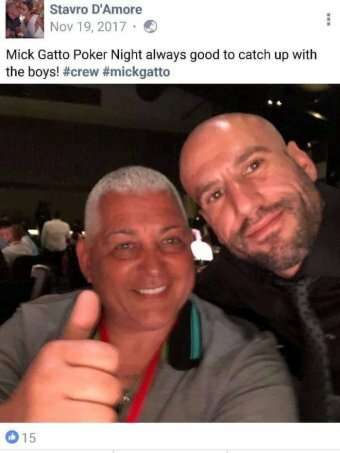 One post includes a selfie with notorious underworld identity Mick Gatto at a poker night, while another sees Mr D’Amore thanking Gatto for “great seats” at a boxing event. At the time of the banning, ASIC said it would allow Mr D’Amore’s Berndale company to continue trading for another three weeks so clients’ accounts could be finalised. The Berndale bank accounts were finally frozen on December 5, amid fears for the millions of dollars of clients’ money it was holding. That is an amount separate to any losses clients may have incurred during forex trades. The ABC has discovered at least some Berndale clients were not told by the company or by ASIC about the stripping of the licence and Berndale did not hand back their money. In a phone conversation, Mr D’Amore claimed Berndale had been stripped of its licence simply because it was late in supplying audited financial statements to ASIC and that all clients’ money was held safely in the Berndale bank accounts that have been frozen. In cancelling the licence, however, ASIC also stated that Berndale failed to take reasonable steps to ensure its representatives complied with financial services laws; failed to have adequate financial and human resources; failed to maintain an appropriate internal dispute resolution system; and failed to provide financial services efficiently, honestly and fairly. Mr D’Amore also said that the company sent out an email to all clients after its licence was stripped, asking them for their bank account details so their money could be returned to them. None of the eight Berndale clients the ABC spoke to received any communication from the company during that period. 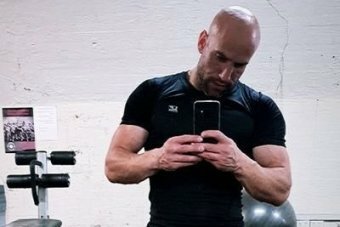 Blue Mountains resident Patrick Dunn, 35, invested $85,000 with Berndale through his self-managed super fund — lured, he said, by the promise of high returns. He was also encouraged by the fact the company was Australian-based and licensed by ASIC. “I didn’t just put in 85 grand just like that, there were times along the way where trust was built,” Mr Dunn said. From the start, according to Mr Dunn, Berndale was difficult to deal with. 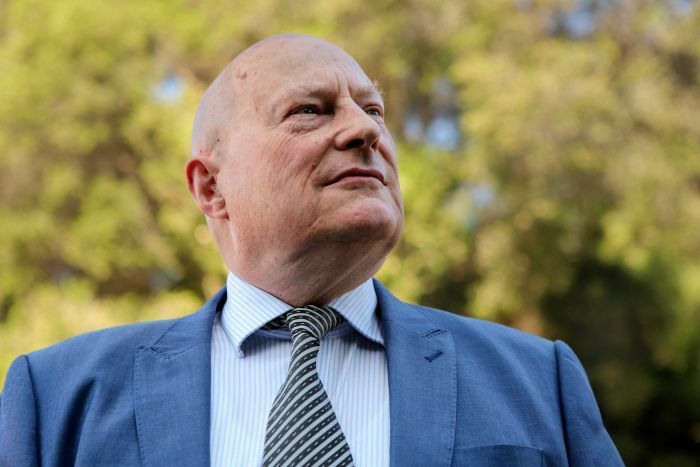 “What I found was when I’d ring up and get to the point of getting a bit angry, I’d say ‘you know what, I’m going to have to involve the Ombudsman’ — then I’d get a call from Stavro. Mr Dunn said nobody from Berndale or ASIC contacted him and other investors to tell them the company had been stripped of its licence and one of its directors had been banned. 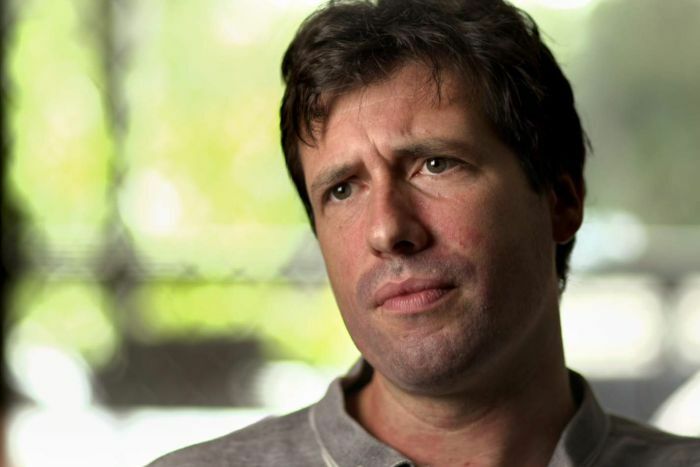 “I feel extremely angry, like most people would. It’s just extremely disappointing to see someone that is regulated and supposed to be upholding that law. “I mean, ASIC offered that licence to them,” Mr Dunn said. Over the course of last year, Melbourne accountant John Schofield invested $125,000 of superannuation and other savings with Berndale. By the time the broker was stripped of its licence, most of it was gone. Monash University’s Mark Crosby believes that the laws around forex trading should be dramatically tightened to protect small investors. “The economics and finance research over the last 20 or 30 years have suggested that knowing whether the exchange rate is going to go up or down is virtually impossible,” Mr Crosby said. Investors essentially speculate on whether a currency is going to rise or fall in comparison to another currency — this is called a “pair”. Brokers such as Berndale link the investor with another party who takes the opposite side of the contract. There are nearly 70 forex brokers holding Australian Financial Services licences, which are issued by ASIC. The “over the counter derivatives” sector — of which forex trading is a part — has 450,000 investors in Australia and holds $2 billion in clients’ funds. As other countries have tightened their rules on this type of investment — including banning it outright — clients have flowed to Australian operators. 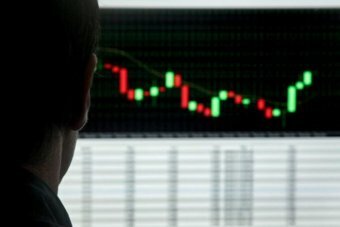 In a statement, ASIC said that forex trading — along with similar types of investment — is being aggressively marketed to retail investors and that it is high-risk and speculative. “This is a key focus for ASIC. We continue to take court and licensing action [against] a number of licensees in this sector,” it said. “ASIC stringently reviews any new Australian financial services licence application. Since 2017, only three new entrants have been granted an AFS licence within this sector. The ABC has spoken exclusively to former clients who are chasing hundreds of thousands of dollars from the company. See more on this story on 7.30 tonight.